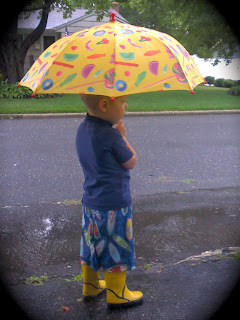 We all know it is difficult to keep children of any age occupied during a rainy day. Since a marathon of television is not an option in our house, we have collected some great suggestions! Here are 7 ideas to help you through the rainy days. 2. Camp. We turn our living room into a campground complete with tents, tunnels, flashlights and a picnic snack/lunch. We read books, play games and relax. The kids never get enough of this adventurous activity. 3. Art gallery. We hang completed pieces of “art” in our hallway (use blue painter’s tape!) and walk through and describe the “work”. We sell tickets, get dressed up, and then buy the artwork. Half the fun is in the preparation! and the older kids really love it! 4. Grocery Store. We create a small shopping list, set up non perishables along the “shelves” of the playroom, grab the shopping cart (complete with a “baby” in tow), and head to the grocery store. After checking our list, we use our register and check out and then pack our groceries in reusable bags. Next stop? the kitchen to make yummy food from our shopping trip. 5. Marching Band, concert or dance party. We use the instruments we have, make new ones or sing along to our favorite Bob Marley CD. We dance fast and slow, jump around and just let loose. 6. Puddle jumping. 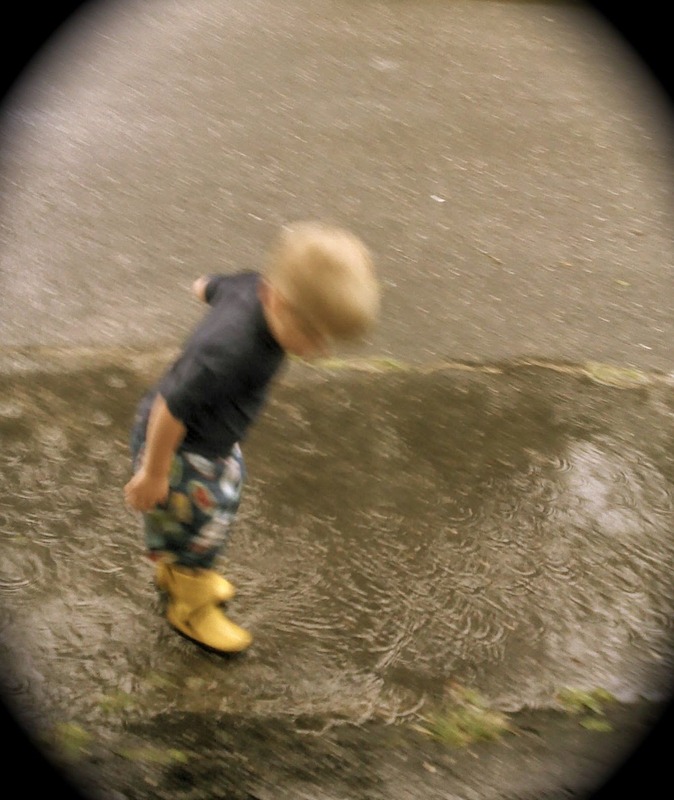 We head outdoors and jump in those huge puddles. Rain boots, bathing suits and hats! This is so much fun for all of us. Sure we get dirty, the smiles last for hours, the mud doesn’t. 7. Beach it! Grab a blanket, put on your swimsuit, and pretend to spend a day at the beach. Make palm trees out of paper, add some music and viola`! We have used rice instead of sand to race cars, scoop and dig. What do you do to turn those rainy days into memories?